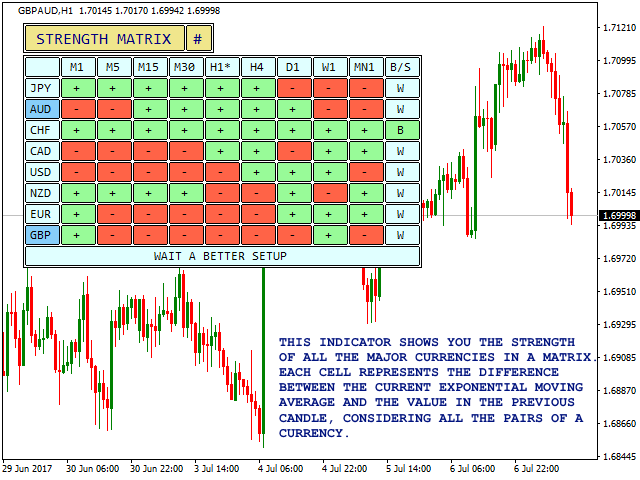 Currency Strength Matrix (CSM) is an indicator that will show you the current strength of the major currencies in several timeframes allowing you to sort the currencies for strength and spot possible trading setups. 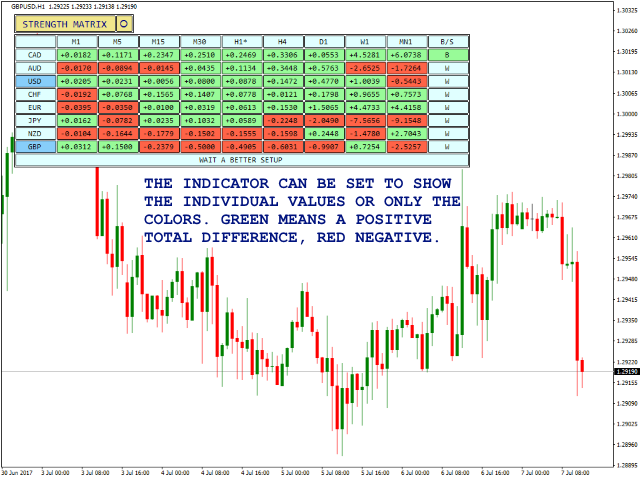 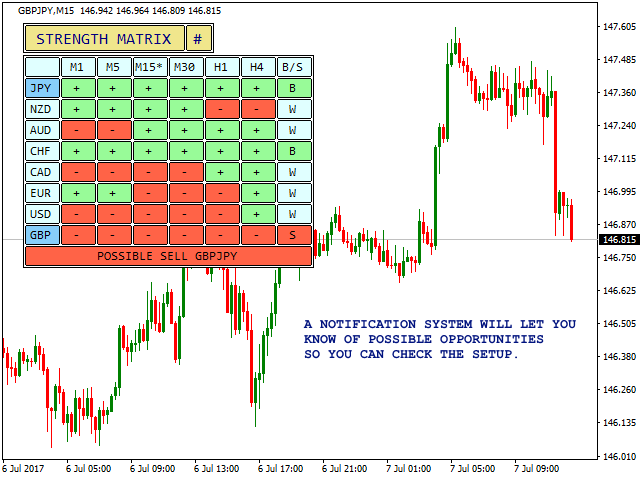 This indicator is ideal for scalping and in all those events of sudden big moves. 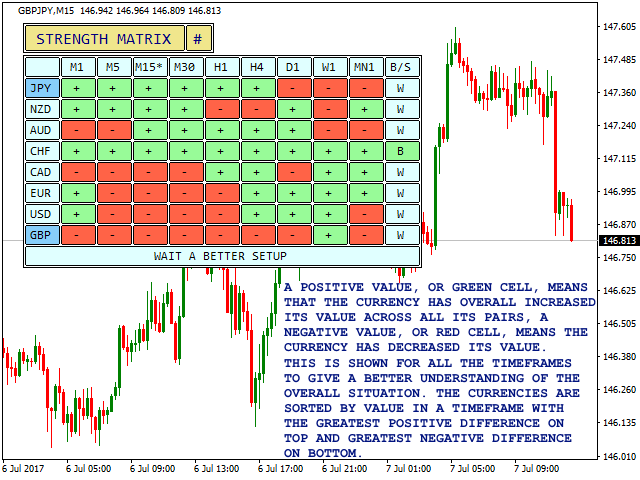 The CSM compares the value of the current moving average with the same moving average in the previous candle for all the 28 pairs and all 9 timeframes producing a Matrix of Strength of the individual currencies. The currencies are then ordered by strength in your desired timeframe. 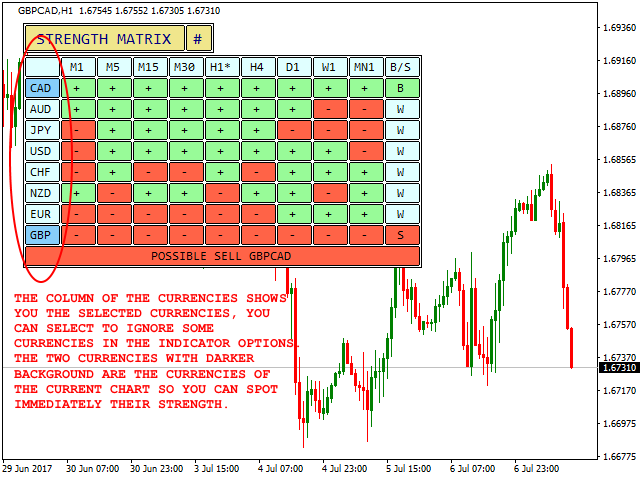 For example, if you sort the currencies for timeframe H1, you will see the currencies ordered for strength in the H1, on top there will be the currencies with the greatest net gain and on the bottom the currencies with the deepest net loss in their moving average value (always considering all the pairs where a currency is involved). 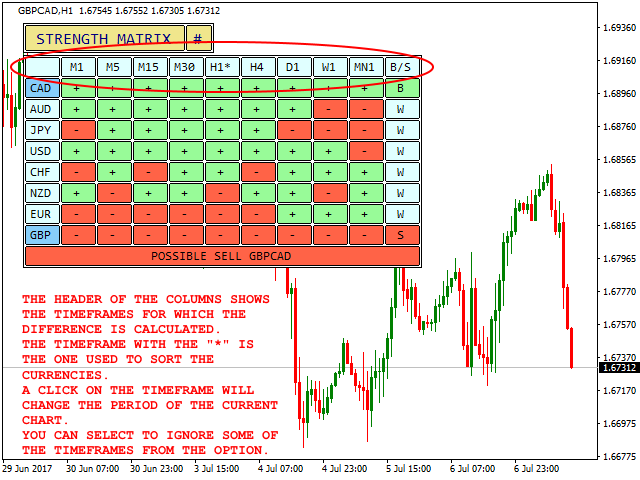 CSM runs calculations on 28 pairs and 9 timeframes hence backtesting will not work properly unless you download the historical data for all the pairs and all the timeframes and actually open all the charts scrolling to their left. To try the full version, visit https://www.mql5.com/en/market/product/24252, you can also rent the full version for only one month at a low price.